Our Winter 2018 lesson schedule begins next week — the week beginning January 7, 2018. 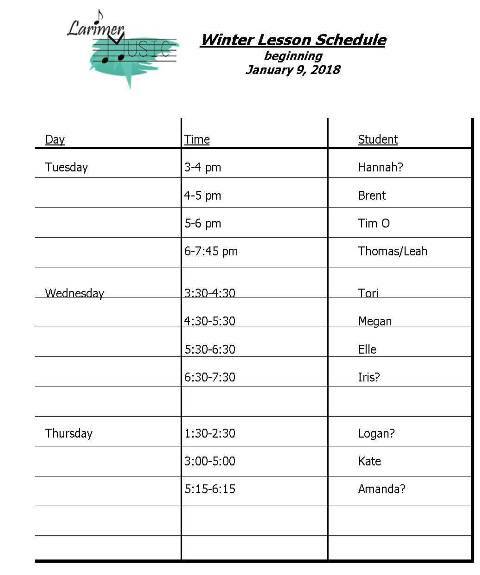 Our tentative lesson schedule is posted below. If you haven’t confirmed your lesson time/day, please email, text or message us with your choices. Also, check our website under “pricing” for lesson price changes. Not everyone is effected by the changes, but some may be.